We have a special interest in dentistry and provide additional expertise in this critical area. 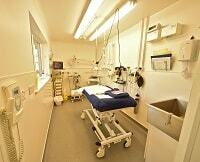 Our fully equipped, modern dental suite is designed and dedicated uniquely for dentistry. We perform excellent, pain free dental surgery with extreme care and minimise post-surgery discomfort. Comprehensive dental checkups and cleanings help to prevent dental problems and ensure that any problems that do arise are identified and treated as early as possible. 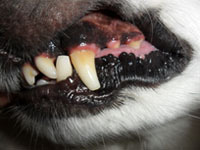 Dental disease affects the entire body and impacts the comfort and long-term health of your pet! 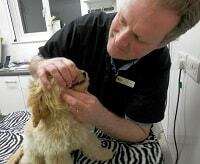 Please do not underestimate the importance of your pet's dental care. We carefully designed and built a dental suite that's dedicated and equipped specifically for professional dental work. With its own consulting room, recovery area, and top class dental surgery, our dental suite allows us to provide the best there is in dental care. 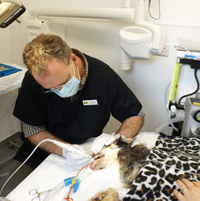 Our dental surgery is equipped with specialised dental equipment including a digital dental x-ray machine, air driven veterinary drill, polisher, descaler, and other professional dental instruments. 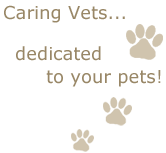 Your pet receives superior dentistry care, pain control, and exceptional post-operative healing with us. 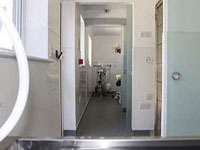 Our dental recovery area suite has its own cat and small animal cages, and walk-in dog kennel with thermostat controlled under floor heating. All our kennels and cages have comfortable fleece veterinary beds, dimmer lighting, and pheromone diffusers for a calm and comfortable recovery. Dental issues can lead to serious health problems! Bacteria and food debris accumulate around a pet's teeth and, if left unchecked, can lead to deterioration of soft tissue and bone. This decay results in irreversible periodontal disease and even tooth loss. At regular examinations, we always look for signs of dental problems – bad breath, plaque, red and swollen gums, a yellow or brown tartar buildup around the gums, broken or worn teeth, and masses or swellings along the gums. All of these problems need to be addressed before they cause permanent damage. Dental disease can affect other organs in the body – bacteria in the mouth can get into the blood stream and could cause kidney infections, liver disease, lung disease, and heart valve disease. It's easy to make the dental care mistake about the severity of your pet's teeth because the pet might not appear in obvious distress and may still be eating (their survival instinct). By the time they actually resist food they are suffering extreme pain – please don't wait until that stage to help your pet! Animals and humans have similar anatomy and physiology, and the equivalent problems in people can cause a tremendous amount of pain and suffering. When dental issues are uncovered, it's important to deal with them as quickly as possible to prevent further damage. A professional comprehensive dental prophylaxis is more involved than just removing the visible calculus (tartar) on the teeth. Digital dental x-rays (see info below) are critical for seeing the complete picture so that hidden issues can be addressed. RCVS recommendations. We use modern equipment, top class anaesthesia and monitoring machines, operate with extreme pain free care, and provide exceptional post-surgery support for your pets. 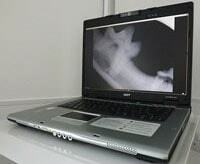 Dental digital x-rays are an essential component of regular dental care. With a macroscopic examination we can see what a tooth looks like above the gum line. But without dental x-rays there is no way of knowing what is happening below the gum line or inside the teeth. After examining radiographs, we often find problems that we didn't know existed – problems which, if left undetected and untreated, could cause your pet extreme pain. We would be happy to give you a tour of our facilities and show you why we are so proud of our dental services. Come by and get a behind the scenes tour.